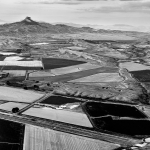 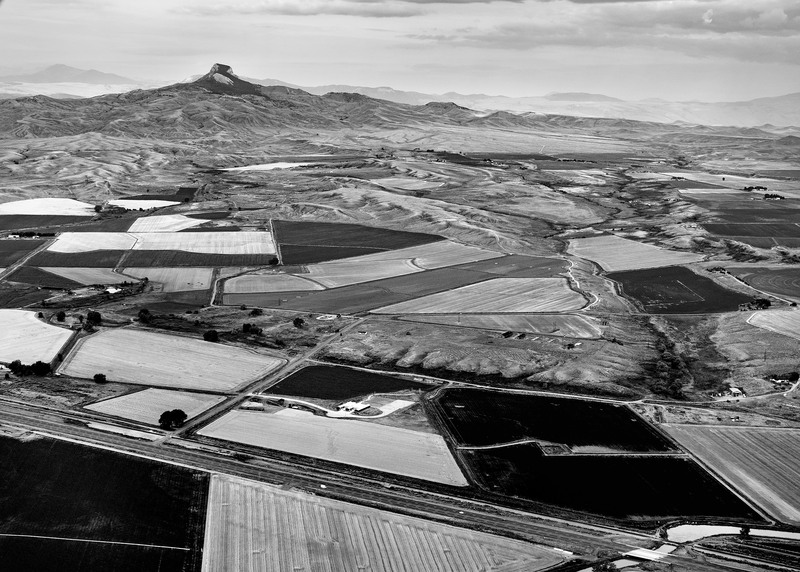 Aerial view of former Heart Mountain camp. 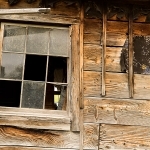 Detail of original nine-paned window. 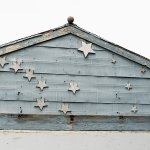 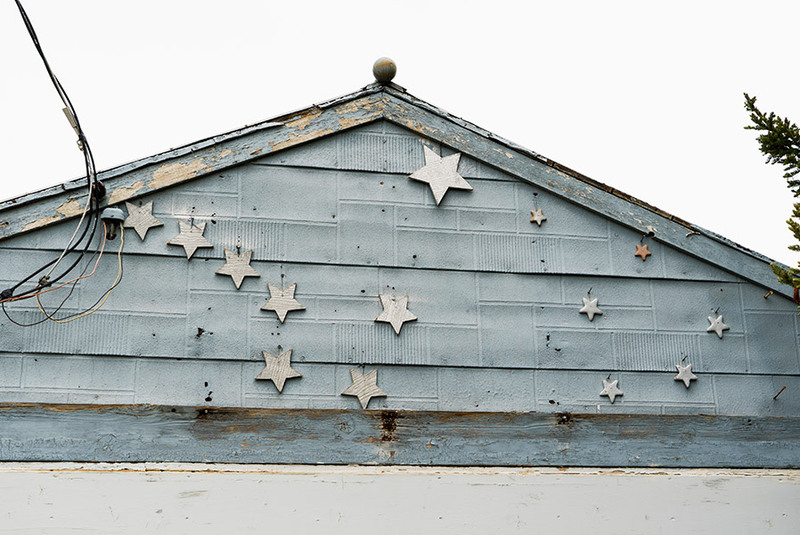 Detail of stars carved by homesteader LaVerne Solbert on barrack on his property. 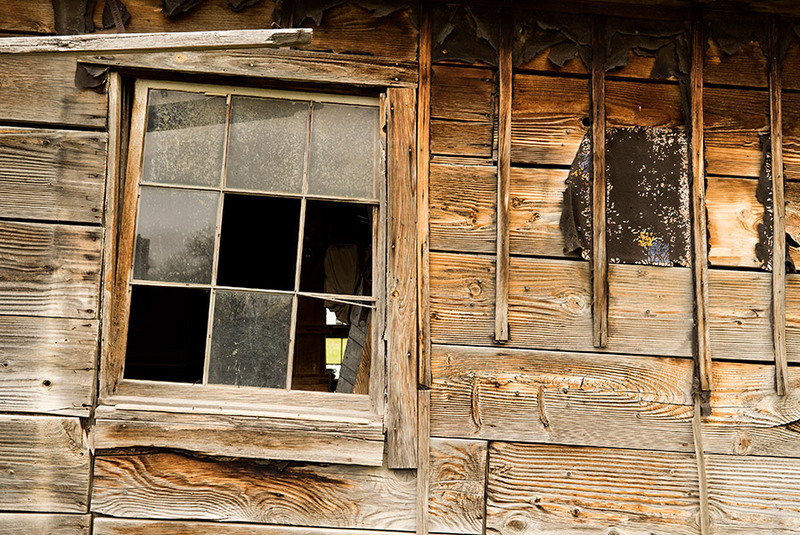 An original nine-paned barrack window. 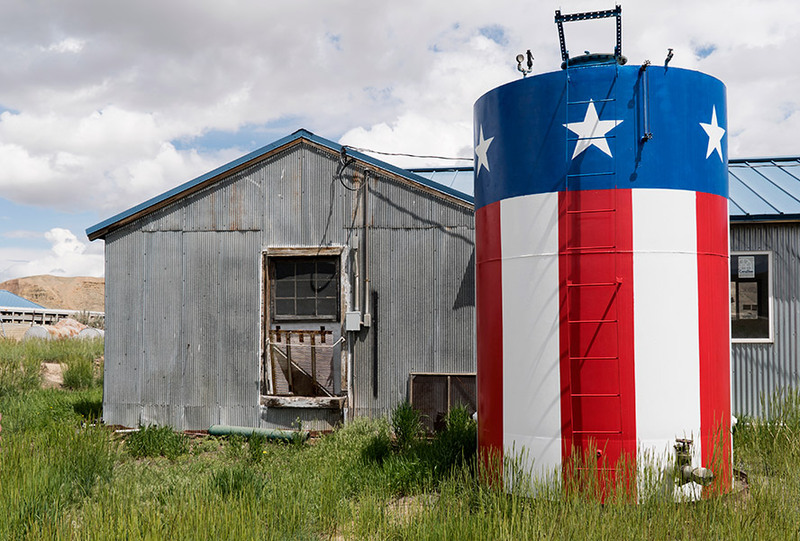 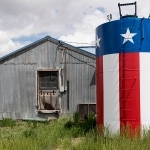 Tank once used for honey storage in front of former barrack acquired by Herman Rauchfuss. 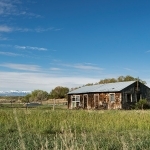 Barrack formerly owned by homesteaders Chester and Mary Blackburn. 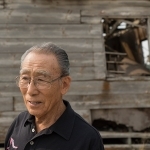 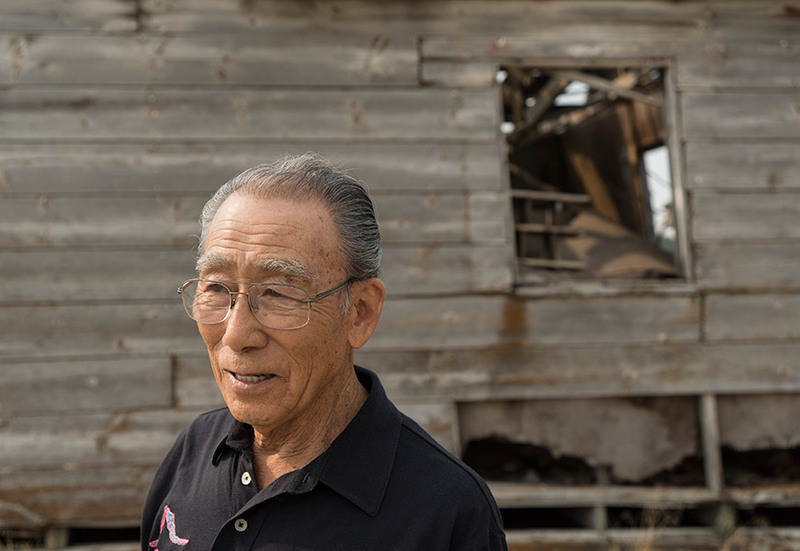 Former detainee Bacon Sakatani in front of former barrack owned by homesteader Tak Ogawa. 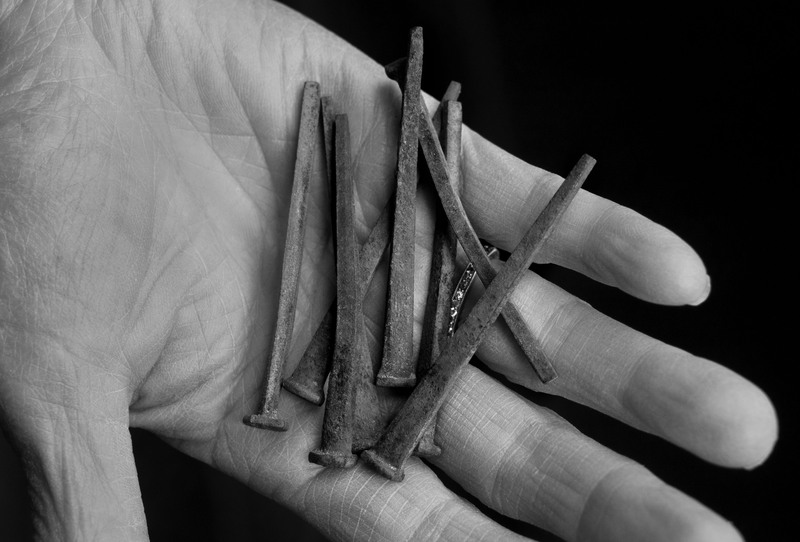 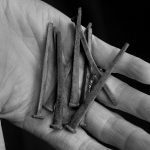 Square nails typical in original barrack construction. 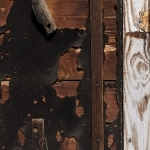 Detail of former barrack wall. 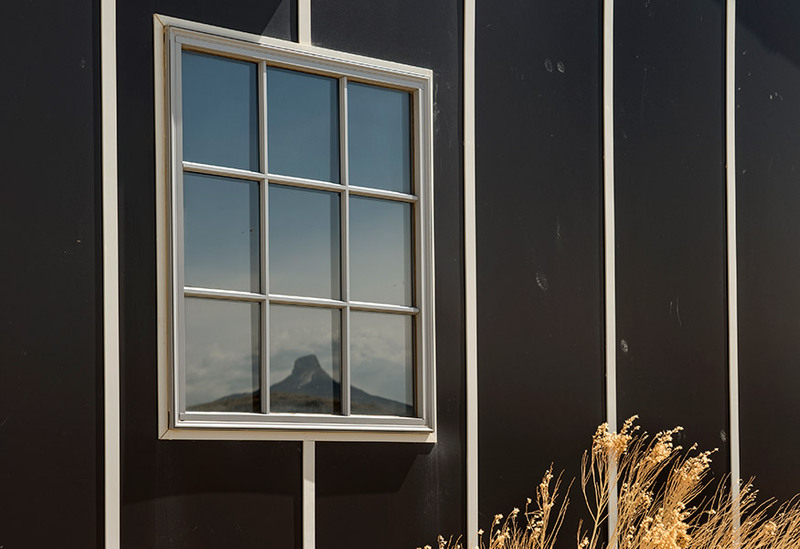 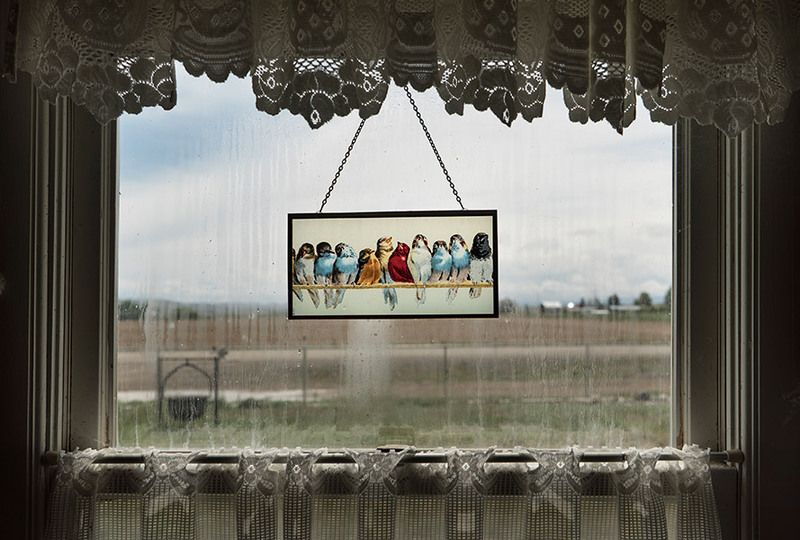 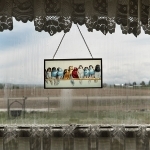 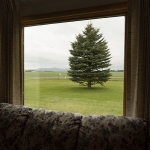 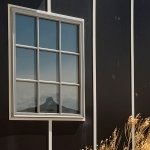 Window in homesteader Evaleen George’s remodeled barrack home. 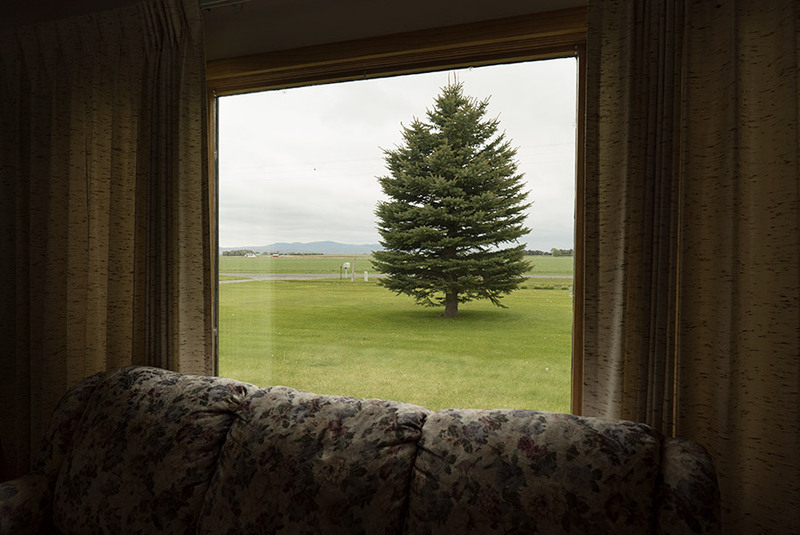 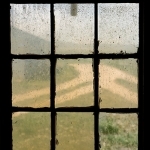 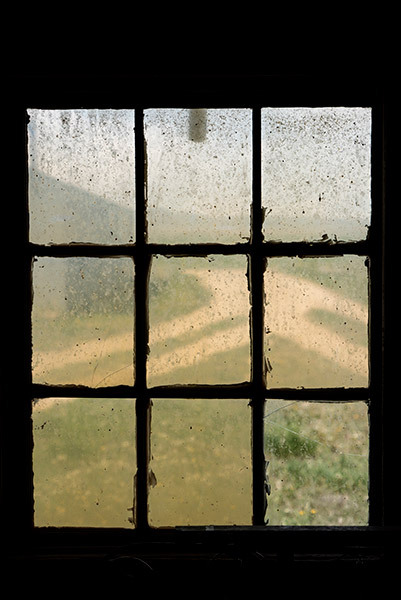 View from inside former barrack acquired by homesteaders Elmer and Tiny Collar. 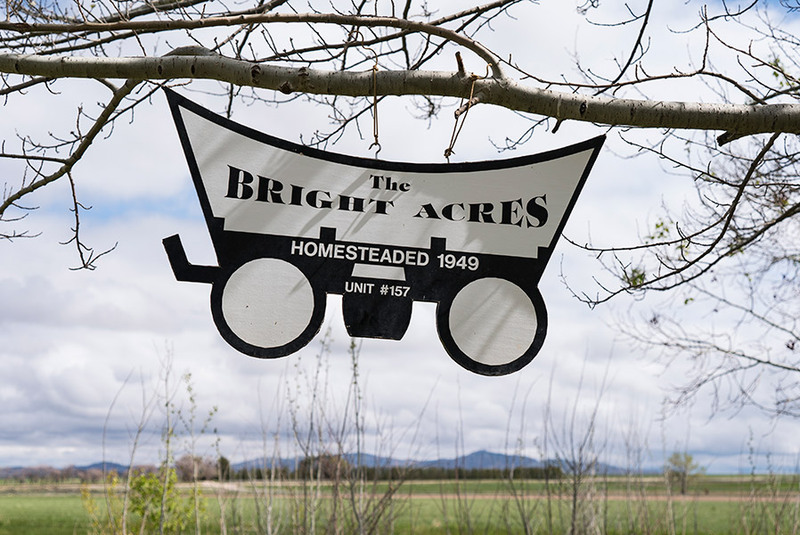 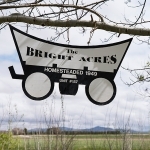 New address sign modeled after original one made by homesteader Harley Bright. 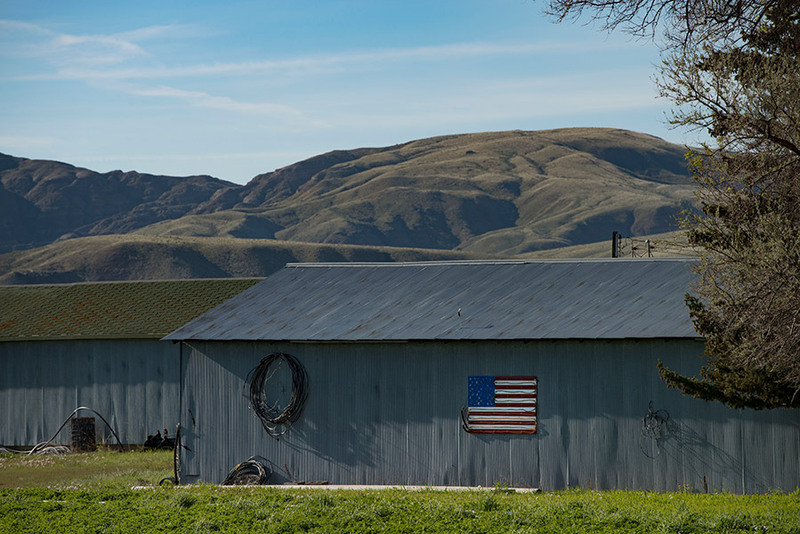 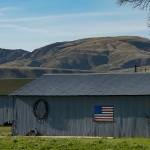 Illuminated flag on barrack owned by homesteader Forrest Allen. 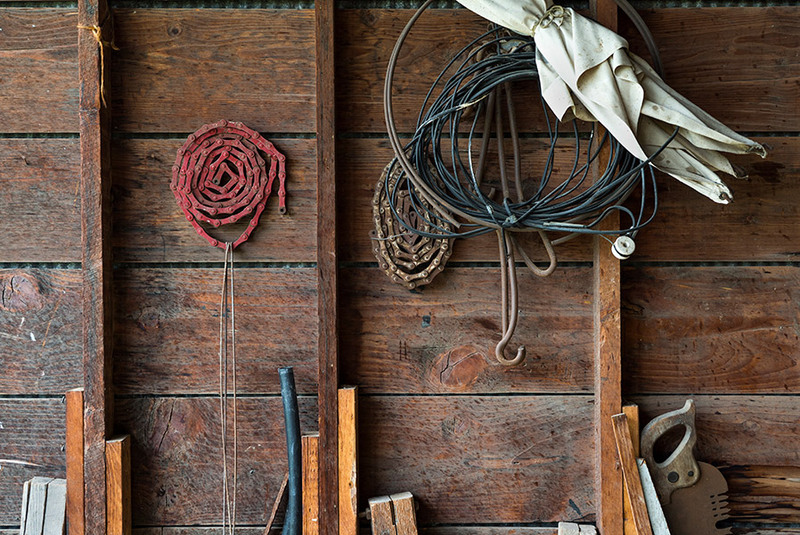 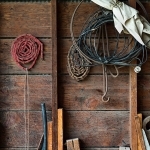 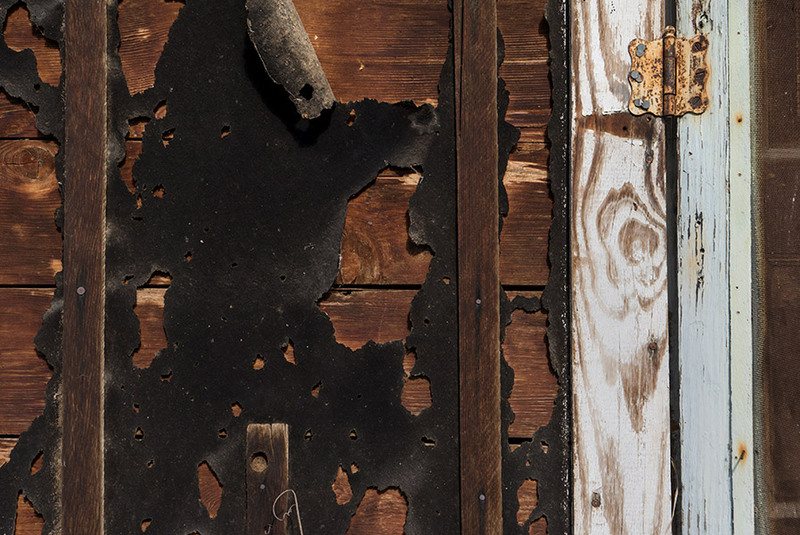 Detail inside homesteader Forrest Allen’s barrack now used as a storage shed. 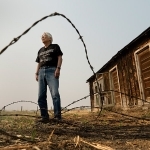 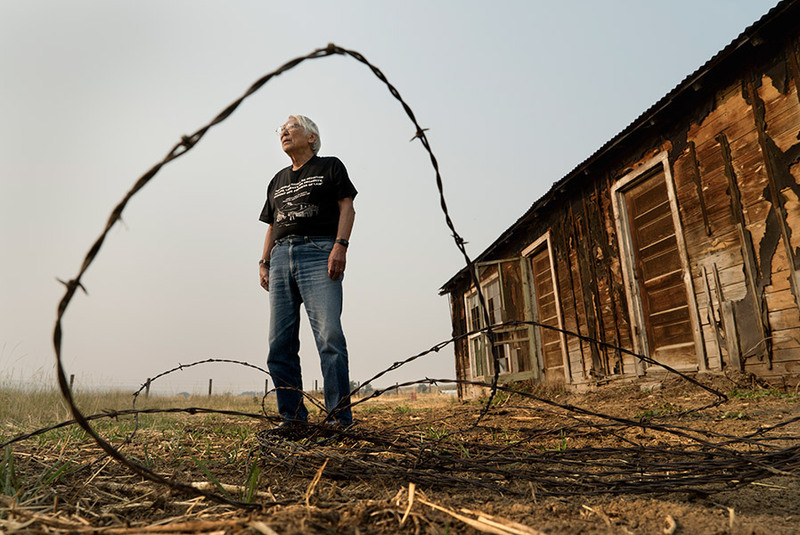 Former Heart Mountain draft resister Takashi Hoshizaki at barrack acquired by Rudy and Doris Jolovich. 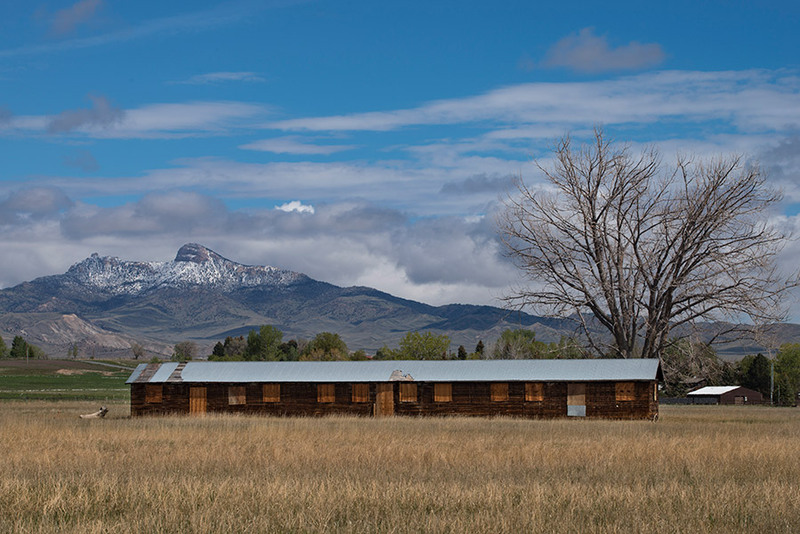 Heart Mountain seen from reproduced nine-paned window at the Heart Mountain Interpretive Center. 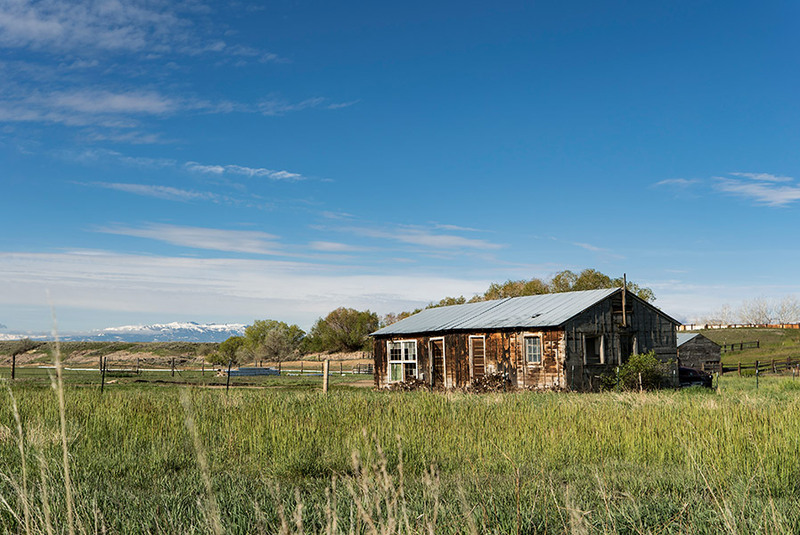 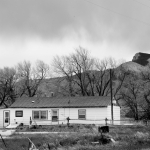 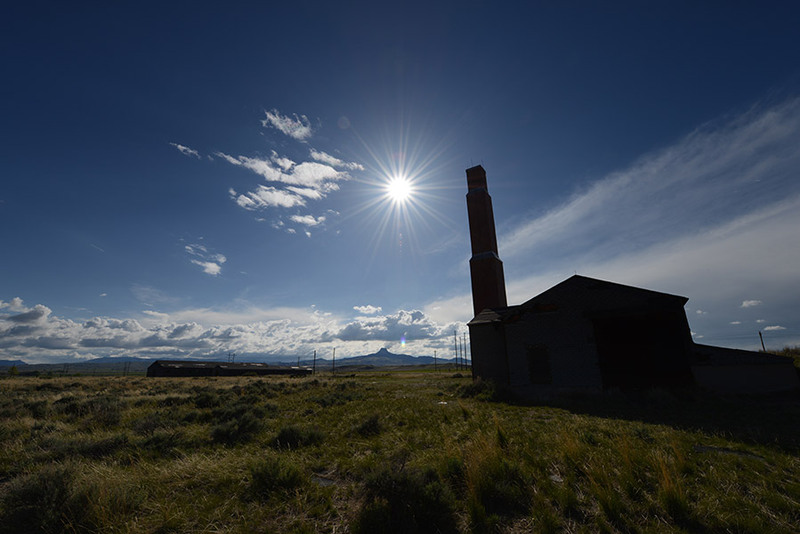 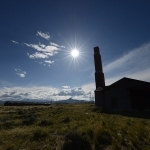 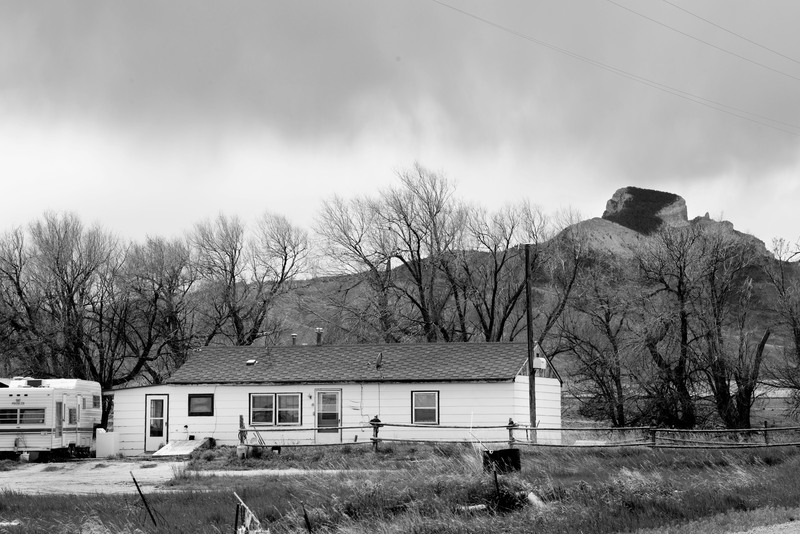 View of hospital chimney, one of the remaining original buildings on the site of the Heart Mountain camp. 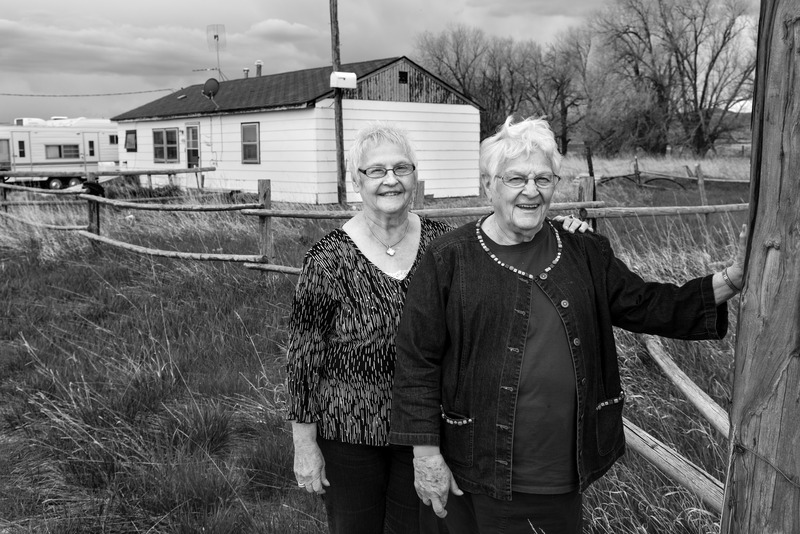 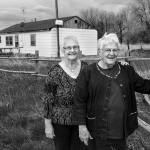 Jane Blackburn Chelberg and Ruth Blackburn Pfaff in front of the former barrack home acquired by their homesteader parents.